ZAMBOANGA CITY, Philippines (Mindanao Examiner / July 16, 2010) – Philippine authorities said a Japanese man was abducted Friday by gunmen on a remote island in the Sulu archipelago. Police and military said at least 10 armed men seized Amer Katayama Mamaito in the village of Bangkilay in Pangutaran Island. “No other details are yet available,” said Army First Lieutenant Steffani Cacho, a spokeswoman for the Western Mindanao Command. Police forces were also sent to the island to gather more information about the foreigner. “Our forces are still in the area and gathering more information about Amer Katayama Mamaito. 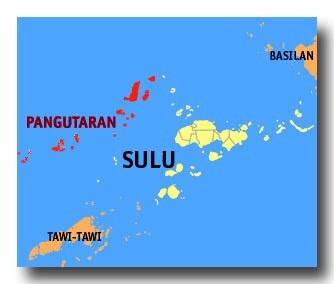 We don’t if he is fisherman or what, but reports stated that he was abducted by ten armed men at around 1.30 in the morning on an island off Pangutaran,” said Chief Inspector Amil Baanan, the deputy chief for operations of the Sulu police force. No group claimed responsibility for the abduction, but Chief Superintendent Bienvenido Latag, the regional police chief, said they would form a task force to handle the latest abduction. “We will activate the crisis management committee and form a task force to give the background of the victim and also to monitor the incident,” he said. Last year, Abu Sayyaf militants abducted three international aid workers in Sulu and freed them one after the other in exchange for ransoms.